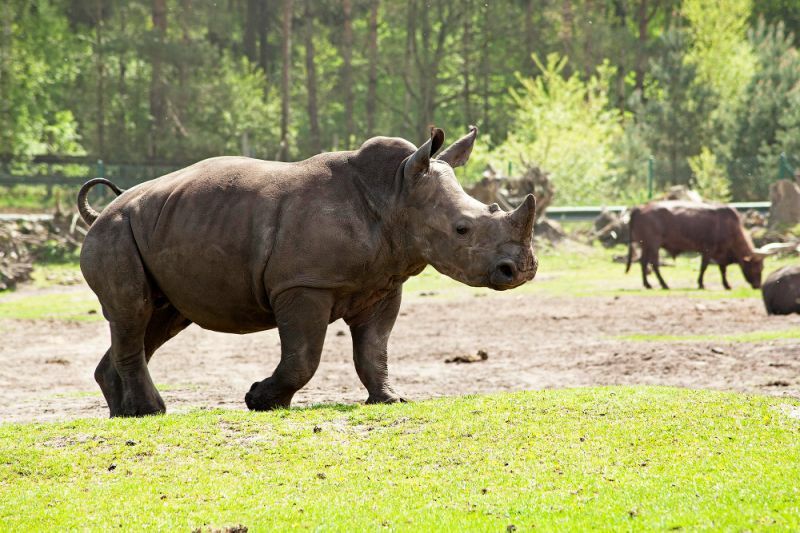 The Brevard Zoo in Melbourne, Florida, has issued a statement in response to an incident involving a toddler girl and several southern white rhinos at the zoo’s Rhino Encounter. On Tuesday, a 2-year-old girl and her family visited the special exhibit — a hands-on experience where guests (under zookeeper supervision) are allowed to touch a feeding white rhino through steel poles — when the toddler accidentally “entered the rhino yard” through a gap between the poles, according to a statement from the zoo. “At least one of the rhinos touched the child with their snout. The child was retrieved in a matter of seconds and transported to a local hospital via ambulance,” the statement continued. The girl, whose identity is being protected, suffered from an abrasion on her cheek, reports Reuters. None of the rhinos were injured during this incident.